Most people look back on their childhoods through heavily tinted rose-coloured spectacles, and it is true that we were lucky enough to grow up without a mobile phone glued to our hands and the overwhelming pressure of social media. Many of us didn’t even have access to the somewhat addictive computer games outside of arcades until we were in our teens, so it is no wonder that we recall fondly our favourite board games from the best. Whether you were playing with friends or with family, these games were probably the source of an argument or two when we got a little bit too much into the game. Nowadays we still hold a soft spot in our hearts for a board game, especially when we are all gathered with our family and at leisure at Christmastime. You can find out some of our favourite board games from the past that we still recall fondly right here. 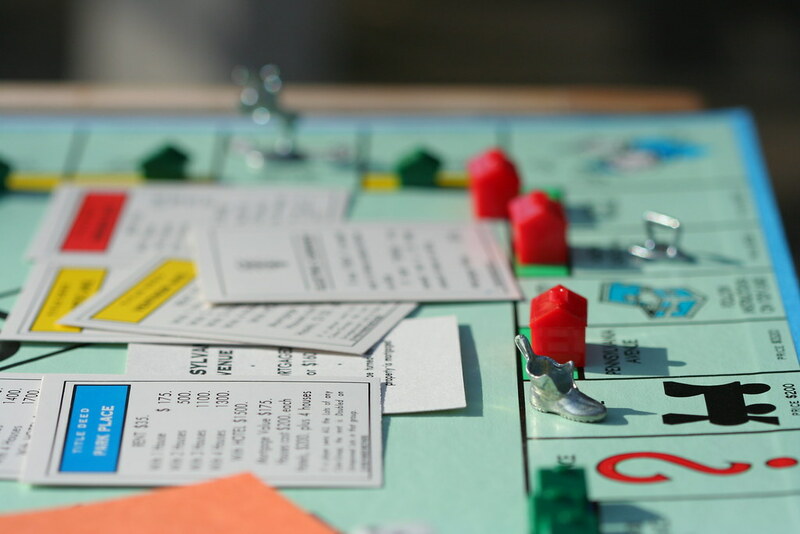 The ultimate game of choice for the aspiring capitalist, this money-making board game has been popular and the source of many family squabbles since its inception in 1904 when it was first patented under the name ‘The Landlord’s Game’. It has been in the news of late too, thanks to their slight shake up off the play pieces (goodbye the thimble!) and their famous helpline that was open over Christmas to help solve player quandaries. From corrupt bankers to miserly players that only buy the cheap players and even the chance guard cheats, Monopoly really does have it all, and is still a great way to while away an afternoon. There are of course nowadays also online versions of the game, as well apps so you don’t need to be confined to one place when you are playing. Monopoly has also managed to stay relevant all of these years since it loves to create themed versions such as Harry Potter and Star Wars that help to keep the game fresh. 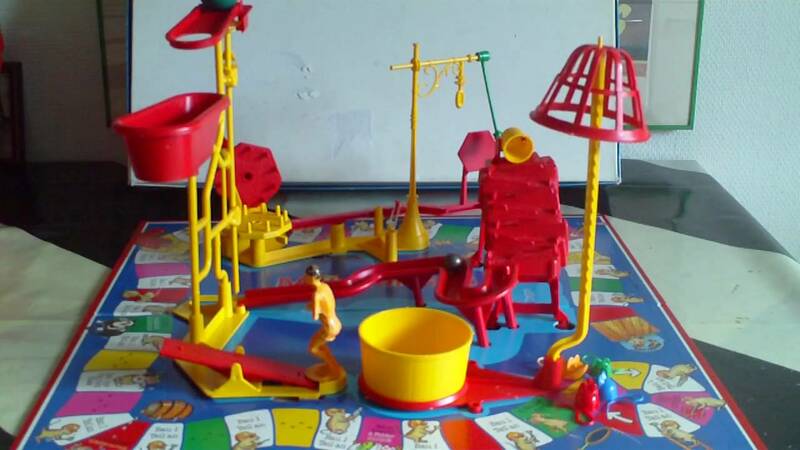 The game of Mouse Trap is probably older than you think, having been created in the early 1960s (1963 to be exact) as one of the first 3D assembly games, and it has been enduringly popular ever since despite the fact that the trap never works properly! This game, which is designed for 2 to 4 players, is all about tactics since at first the players have to work together to assemble the elaborate trap before turning on each other to try and capture the other opponents’ mice. 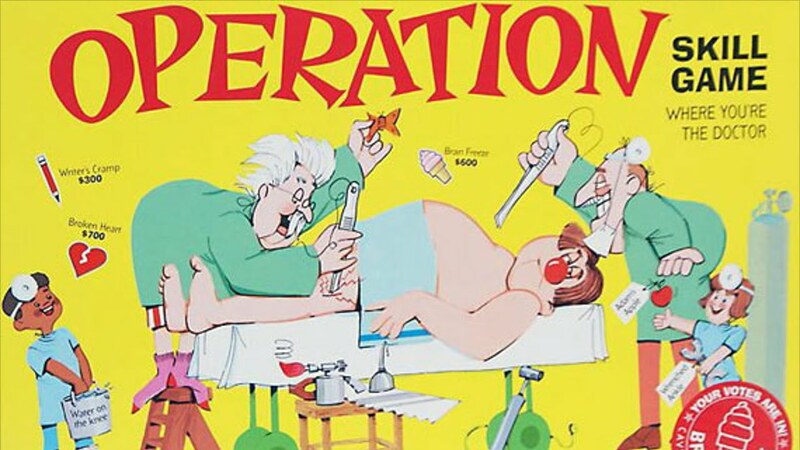 Another game that was invented in the 1960s and that remains popular today is Operation which will test your dexterous skills to the maximum. Removing key organs and various other body parts from a cartoon body as a faux-surgeon, you have to make sure that you don’t buzz the sides. The beauty of this game is that you don’t necessarily need other players to enjoy it in fact you can simply test your own skills against the game. A sophisticated version of pick-up-sticks, it is true that we still love this game! ← Retro bikes: On yer Chopper!